Sounds simple I know, but it can be far more difficult than I am making it sound to open your mouth and ASK. But why? Why is that we get nervous, scared and intimidated when we think about asking for what we want? Little kids have mastered the art of asking and no amount of rejection or “No’s” can sway their conviction to ask (repeatedly) until they get what they are asking for. Rejection…that’s the key to this whole thing. We are afraid of rejection. So afraid that we would rather live WITHOUT the things we desire…even when the only thing standing between you and what you desire is ASKING. Challenge yourself to reconsider this unfounded fear of asking. What’s the worst thing that will happen to you? The person you’re asking will say NO. Your life will remain exactly the same…nothing will change. Well you’re used to that – whatever it is you’re living…right?! BUT, what if you ask and the response is YES? Your circumstances will change…for the BETTER! 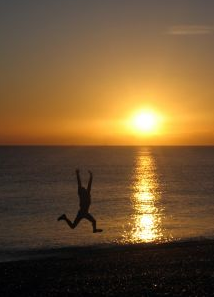 You’ll have reason to celebrate…to jump for joy…to IMPROVE your life! So that’s one of two outcomes: stay the same (still doesn’t hurt-you’re used to the same)…or change for the better (would feel really great). Don’t let two little letters “N”-“O” stand between you and your dreams. Then go ahead ASK-and watch your life change!